Whenever Uniqlo collaborates with other labels, we instantly know things are about to hit big. News that the Japanese giant was about to team up with Olympia Le-Tan hit the headlines last December, leaving everybody thrilled and in anticipation. The duo has just joined forces to collaborate on a limited-edition line of t-shirts and totes, which, besides pleasing us with some unique designs, utilizes the skills of displaced women in Malaysia and Afghanistan and is tied in with UNHCR, i.e. the U.N.’s refugee agency. All the pieces retail for circa 15 euros, about $16 depending on the exchange rates, and the full proceeds from the tote sales, as well as a part of the proceeds from the sales of the t-shirt, will be directly donated to UNHRC. The	Uniqlo x Olympia Le-Tan 2016 collaboration not only raises money for the cause, but supports those women in building careers too, injecting a much-needed confidence in their working skills and, in return, helping them be more independent. Uniqlo and Olympia Le-Tan aimed at highlighting those women’s expertise and raising their spirits (women from Afghanistan and Malaysia are usually not encouraged to seek a career and more generally speak about being independent). Buying one of the Uniqlo x Olympia Le-Tan staples means thus both adding a unique, one-of-a-kind product to your wardrobe, and at the same time also enjoying a sort of humanitarian dimension that, too often, is left behind in the path of our lives due to our strict schedules and overwhelmingly busy days. It might not necessarily change our lives, but it might change theirs. “We first starting working on T-shirts and then someone who specifically works in that division at Uniqlo asked me to participate in the program. 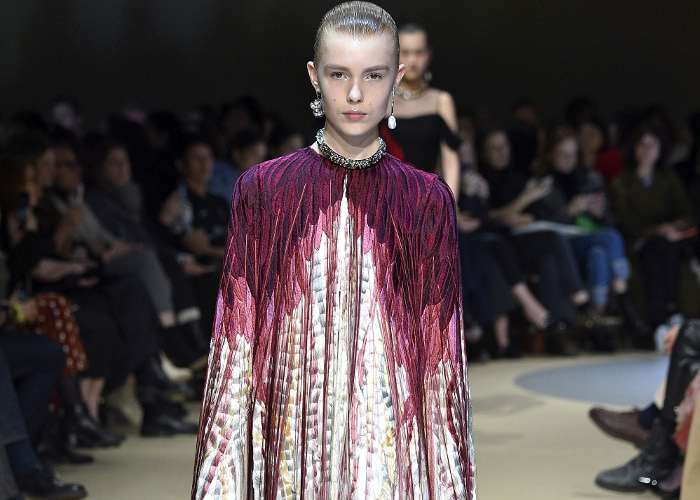 I asked for it to support women specifically and selected a few geographical regions that are good with embroidery,’ Le-Tan declared in the interview with WWD. Already available in Japan, the capsule collection was released exclusively at Colette in Paris on Monday, and will be internationally distributed starting from next Monday. The collection consists of eight t-shirts inspired by Le-Tan’s iconic patterns, both screen-printed and embroidered, and a single tote bag that will be distributed in only 2,000 pieces worldwide. The tote, which will definitely go sold-out very soon, clearly pays homage to Le-Tan’s signature embroidered milk carton bag, while a very limited-edition key chain memento incorporates an ‘OLT’ logo patch specifically crafted by the displaced women. It is also very interesting to point out that, in the beginning both the tote and the key chain weren’t included in the plan. “When [the collaboration] first came out in Japan, I kept seeing young girls posting pictures on Instagram and thought it would be nice for them to have the bag to match,’ Le-Tan continued, explaining that, with the little time they had, they did what they managed according to the women’s skills. As for the t-shirts, their oversized cuts, iconic patterns and bold colors will surely give many of you something to add to this summer’s shopping wish list.